As an interior design company with roots and offices in London, we’re constantly looking to the energy and inventive style of this city for inspiration. And it’s no secret that London is full of interior designers. To help you on your journey to better living, we’ve culled 15 of the top interior designers currently working in London as a handy resource guide for all of your home improvement needs. A quick look through this London interior design firm’s portfolio proves that the best design is born from meticulous attention to detail and the characteristics that bring a home together. Ornate, seriously luxe and well-balanced, the beneficial power of Candy & Candy’s work speaks for itself. Based in Chelsea, Elicyon creates unique environments tailored to their discerning clientele that are crafted with care and and an eye for beautiful, functional design. Plush, deluxe and thoroughly modern, their work often bears the kind of interior design quality you’d expect from a 5-star hotel. Sean and Markus, friends and founders of our interior design firm, met and found mutual appreciation for the benefits of beautiful interior design in London – a city whose energy and spirit offers us endless inspiration. Together, they launched Décor Aid to bring brilliant design to everyone, anywhere. Every project we curate begins with a simple, complimentary in-home consultation to determine the best routes to realize the space you’ve always envisioned. Your designer will help you define your needs and offer guidance on how to move forward with a detailed proposal with no minimum purchase. Our world-class team of interior designers were selected from the most distinguished firms, and they bring an unparalleled level of expertise and personalization to every project. Timeless with subtle touches, homes upgraded by VSP reflect modern lifestyles with just the right amount of notes from the past. Looking through their portfolio proves that this London interior design firm understands that the best way to make a design statement is often born from quiet moves. 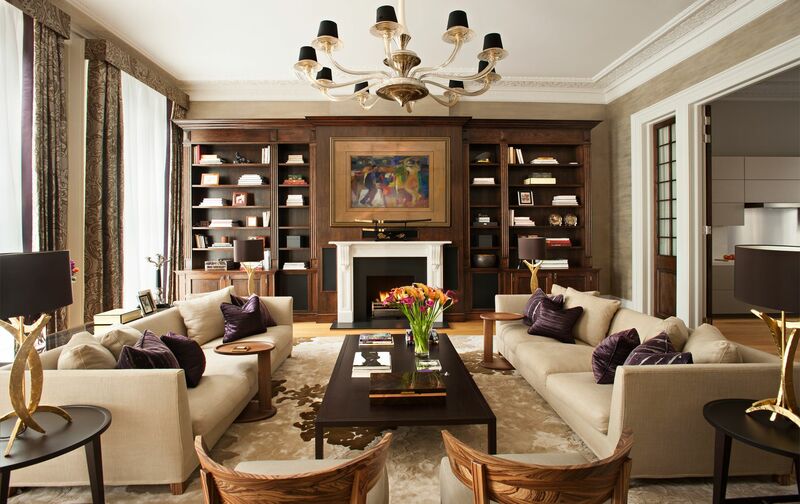 DK Interiors is a full-service interior design firm specializing in luxury residential and commercial interiors that evoke the spirit of London’s rich history while remaining thoroughly modern in appeal. By creating thoughtfully orchestrated environments that reflect a client’ s personality and lifestyle, DK Interiors seamlessly upgrades every project with precision and quality interior design. Masters at mid-century modern touches, Black Milk creates bespoke interiors catered to their clients needs and busy, modern lifestyles. Often understated, their work evokes the spirit of today while touching on great design moments of the past with synchronicity and just the right amount of quirk to make a space feel special and fully articulated. With an eye for livable and luxurious interiors, Helen Green is one of the most well respected names in the world of London interior design. Headquartered in London’s Chelsea neighborhood, the firm has been designing luxury interiors since 2002. From Chelsea townhouses to some of London’s most exquisite hotels, Helen Green is synonymous with luxury. Helen Green has been featured in a wide variety of publications, including Space Magazine, School House, Interior Design Todya, House & Garden, Homes & Gardens, Country & Town House, Telegraph Property, English Home, The City Magazine, Billionaire, Christie’s, 25 Beautiful Homes, Alto, and El Mueble. When considering routes for finding the best interior designer London, we suggest a thorough look into their portfolio and accomplishments to get the most bang for your buck. With a number of exquisite homes and properties, Taylor Howes has rightfully gained the reputation of being one of London’s top interior design firms. 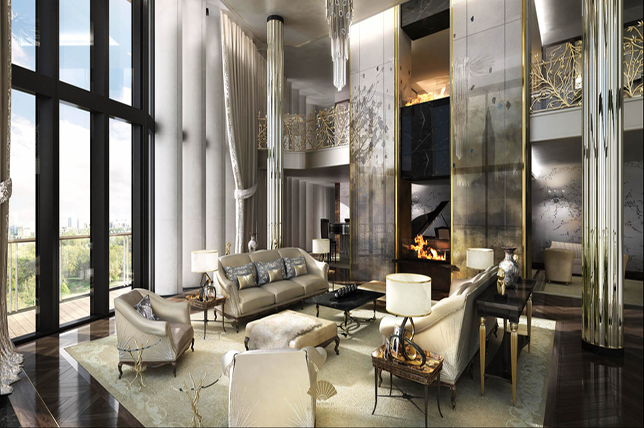 In addition to designing homes in The Knightsbridge and The Phillimores, the firm has also designed London’s largest private residence to date. Taylor Howes has been featured in a wide variety of publications, including Vogue, Elle Decor, Marie Claire, The London Magazine, Rue Magazine, Interior Designers, Private Air, Homes & Interiors, Homes & Gardens, Country Homes & Interiors, The Resident, Great British Brands, Private Air, Flair, Designed, The Sunday Times, Art & Interiors, Bridge for Design, The Hedonist Magazine, Metropolitan Home, Luxdeco. Often, in a cosmopolitan city like London that boasts a roster of visionary talent, the key to finding the best interior designer London for your project can be found in your initial consultation. Because let’s face it, even in a burgeoning hotbed of talent like London, building a strong relationship with your interior designer is vital in making the project flow seamlessly. Owned and operated by Aaron and Laura Hammett, Laura Hammett designs is bringing hip and elegant interior designs to London. From Notting Hill Penthouses to Chelsea Townhomes, in addition to a wide variety of interior national properties, Laura Hammett is one of London’s top interior design firms. Laura and Hammet has been featured in a variety of publications, including the Lux Pad, Prime Resi, Luxdeco, Sua Casa, the London Evening Standard, The Wall Street Journal, The Resident, The Telegraph, Country & Town House, Art of Design, Bricks and Mortar, International Property, Embark Home & Decor, Fulham, Kensington & Chelsea, and In Design Magazine. 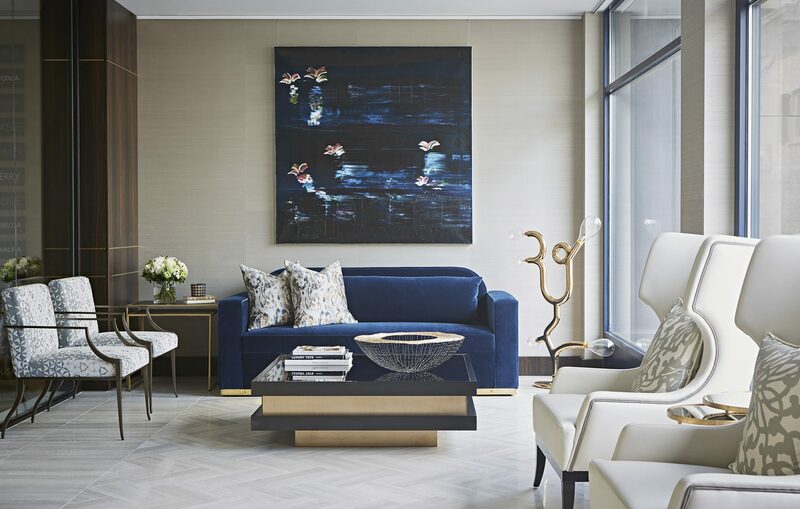 Louise Bradley is synonymous with London’s luxury interior design scene. The firm’s principal, Louise Bradley, has been one of London’s top interior designers for over twenty years, and has designed everything from Notting Hill Townhouses to Country Homes in Windsor. In addition to residences at London’s prime addresses, Louise Bradley has designed a host of international properties, including chalets in Switzerland and Villas in Kuwait. Louise Bradley has been featured in a wide variety of publications, including Elle Decor, Interior Design Yearbook, Interior Design Today, Homes & Gardens, House & Garden, Financial Times, The World of Interiors, Business Life, Superior Interiors, Absolutely, Bridge for Design, House & Home, Homes & Gardens, Country & Town House, Telegraph Magazine, and Kensington & Chelsea. Celebrate London’s eclectic style with interior design from an interior designer London who understands exactly what functions and aesthetic will work for you, and where they work best. Rene Dekker is one of the world’s leading interior designers, and his eponymous London-based firm has been designing luxury spaces for over 25 years. Dekker’s interior designs are consistently recognized by the KBB Design Awards and the Design & Architecture awards. From London to Moscow, the firm has designed a variety of residential and commercial luxury spaces. Rene Dekker’s interior designs have been featured in a wide variety of publications, including Elle Decor, Andrew Martin, Contemporary Interiors, Objekt International, Perspectives on Design, Homes & Gardens, Robb Report Vacation Homes, Essential Interiors, Contemporary Home Design, and International Homes. By working with an interior designer London who elevates your home with thoughtful interior design in accord to your own tastes, and not the other way around, you’ll have an easier time updating aspects of your home. Modern timeless elegance: that’s how Maurizio Pellizzoni describes their residential and commercial interiors. After spending a decade with the creative team of Ralph Lauren Home, Pellizzoni branched out, and established his own firm. Since 2007, Pellizzoni has brought a refined and contemporary Italian design aesthetic to London’s interior design world. From townhouses to commercial spaces, Pellizzoni is shorthand for luxury interior design. Maurizio Pellizzoni’s interior designs have been featured in a wide variety of publications, including Architectural Digest, GQ, Case & Stili, Metro, Winq, The Times Magazine, Good Homes, Kitchen & Bathroom, Perspective Magazine, The Sunday Telegraph, The City Magazine, House & Garden, Kensington & Chelsea, The Wall Street Journal, and Evening Standard. Keep in mind that when considering updating a space with an interior design upgrade it’s essential to seek out a savvy interior designer London who provides you with a home you can live in, not live around. As one of London’s top interior designers, Katharine Pooley brings a global design influence to her luxurious and tasteful interior designs. From Hype Park to Chelsea, the firm has gained a reputation of elegance and precision. Pooley’s client base is ever-expanding, and now includes properties in Europe, the Middle East, and North America. The firm even designed a castle in Scotland. Katharine Pooley has also opened up a boutique, which sources a wide variety of home goods and decor. The firm’s variety of expertise has been featured in a number of publications, including Elle Decor, Vanity Fair, Dering Hall, Homes & Gardens, Financial Times, ES Magazine, New York Cottages and Gardens, LuxDeco, House & Garden, Country Life, Christie’s Interiors, and the English Home. To get the most out of your space, look for an interior designer London whose portfolio reflects a true understanding of modern luxury. Based in London’s Belgravia district, Tara Bernerd and Partners is one of London’s top interior design firms, and has designed for residencies around the globe, including New York, Chicago, Hong Kong, Shanghai, and Switzerland. The firm’s top clients include Thompson Hotels, Sixty Hotels, Blackstone, the LeFraks, Berkeley Group, Lend Lease, and Grosvenor. Tara Bernerd and Partners have been featured in a wide variety of publications, including The New York Times, Vogue, Elle Decor, Architectural Digest, Surface Magazine, Living Etc., House & Garden, Grazia, You Magazine, Interior Design, Monocle, Country & Town House, Hospitality Interiors, Sleeper, The London Magazine, Living Etc., High Life, The Wall Street Journal, Forbes, Instyle, Financial Times, Conde Naste Traveller, Robb Report, and Wallpaper. A similar understanding of the architectural details that make every space unique will allow your interior designer London to use unexpected methods. Since 2000, Martin Brudnizki Design Studio has created luxurious and contemporary interiors for London’s most discerning clientele. In addition to residential designs, the firm is renown for its restaurant interiors, including world-class dining experiences in London, New York, Toronto, Paris, Miami, and Dubai. In 2015, Brunizki established And Objects, a product design studio to compliment his firm’s work in the field of interior design. Martin Brudnizki has been featured in a wide variety of publications, including Elle Decor, Wallpaper, House & Garden Magazine, Interior Design Magazine, Country And Townhouse Magazine, and Conde Nast Traveler. Which is why they’re capping our list for the best interior designer Toronto to consider.Best London Interior Designer. We suggest an interior designer London with a proven interior design background. As one of London’s most acclaimed interior designers, Staffan Tollgard has been crafting bespoke luxury interiors for over ten years. In addition to a variety of properties in London and the United Kingdom, Staffan Tollgard has also designed for a discerning international clientele. The firm also operates the Staffan Tollgard Design Store, a flagship retail space exhibiting a wide variety of luxury furniture and decor. Steffan Tollgard has been featured in a variety of publications, including Architectural Digest, Elle DEcor, Design et. al, Living Etc., Art and Design, The Art of Design, Interior Design Today, The Resident, English Home, Homes & Gardens, House & Garden, 25 Beautiful Homes, and Andrew Martin. Which is why they’re capping our list for the best interior designer London to consider.